We are one week into October; and we have not yet had a killing frost. Since it is a rainy weekend, and there is an abundance of tomatoes, I decided to make tomato jam. 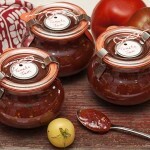 I have not made tomato jam before; but since I like chutneys I thought a zesty jam would be great. If you are looking for a nice condiment that is a terrific accent to meats, poultry, fish and sandwiches, this jam is for you. This would also make a great hostess gift. I like roasting vegetables because it brings out their sweetness; and it intensifies their flavor. I was inspired to roast the tomatoes because of a food52 column. Wash and slice 3 pounds of tomatoes. Sprinkle 1/3 of the sugar into the bottom of a 9 x 12 inch baking pan. 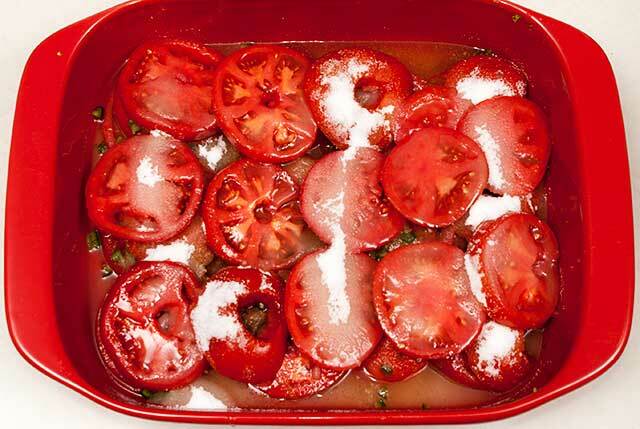 Place ½ of the tomato slices on top of the sugar. Sprinkle with another 1/3 of the sugar. Add the lime zest, lime juice, minced garlic, cumin, cinnamon, cloves, salt and minced jalapeno pepper over the top of the tomatoes.Top this layer with the remaining tomato slices. Sprinkle on the remaining sugar. Place the pan into a preheated 400 degree Fahrenheit oven. Bake for approximately 2 hours, spooning the juices over the tomatoes every 30 minutes, until the juices gel. To test for this, place a small amount of juice onto a saucer and let it cool. Swipe your finger across the juice. If it holds the line, the jam is ready. Remove from the oven, and let the jam cool. Using a stick blender, pulverize the tomatoes to your desired consistency. Place the jam into ball jars. Refrigerate. Use within one month. 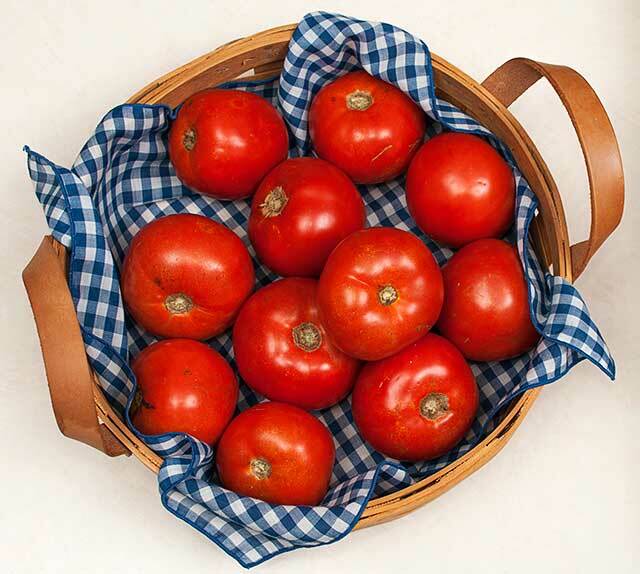 The tomatoes are ripening and volume often exceeds our ability to eat them. 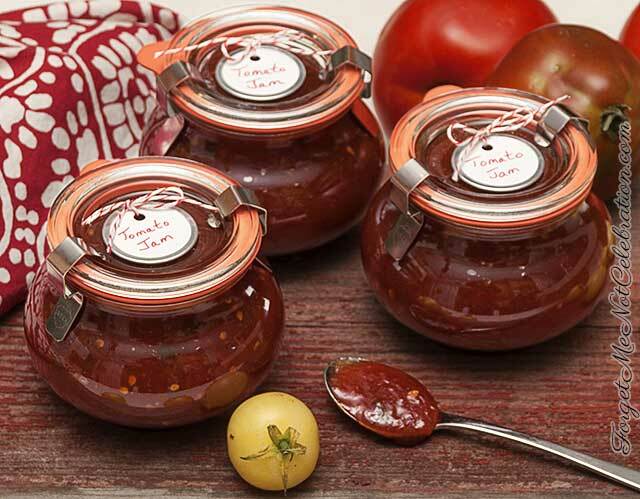 This tomato jam looks like a very good use for the excess harvest.